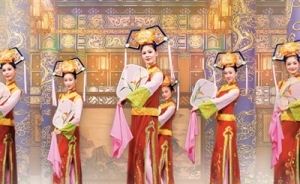 Since Shen Yun Performing Arts showcases China’s semi-divine culture, many onstage scenes include immortals and deities, such as Buddhas and Daos. From myths and legends to works of art, the depiction of these divine beings in Chinese lore has endured throughout the centuries. 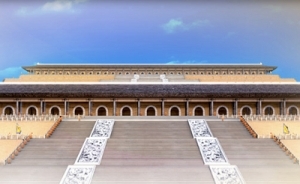 “Each dynasty has its own court,” a famous Chinese saying goes. The ancients believed that celestial paradises have immortals who reincarnate as humans on earth during different periods. 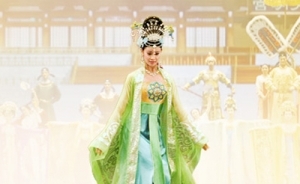 Some became the emperors and officials of various dynasties, shaping the land and its culture. They brought with them divine gifts to mankind—the wisdom of sages, skills, and inventions that allowed dynasties to prosper. Among these divine gifts was celestial garb. 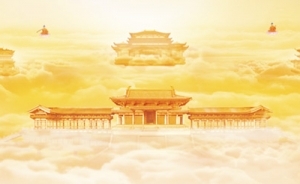 It is thus said that traditional Chinese attire was inspired by the heavens—it is this special connection that made the historical Han clothing so multifaceted and rich in design. Some of this heavenly garb can be seen in the murals of the Mogao Grottos outside of Dunhuang. This divine guidance lasted from the time of the Three Sovereigns and Five Emperors to the late Ming Dynasty, spanning a period of 5,000 years. Though mortal couturiers did their best to mimic celestial apparel, they ultimately still pale in comparison. 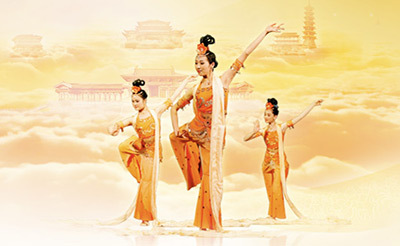 Shen Yun’s dances often feature heavenly scenes of celestial fairies, Buddhas, Bodhisattvas, Taos, and other deities in their respective regalia. Sometimes, following the old tradition, these deities even descend to the earth.